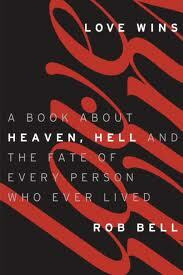 Rob Bell is coming out with a new book. But you knew this already. Unless you have been living under a rock the size of Georgia, you have heard the buzz that has been going all around the Christian blogosphere lately concerning Rob Bell’s new book and how he is really a universalist. A masterful stroke of genius on the part of Bell’s publisher, HarperOne. They wanted to generate a buzz surrounding the release of Bell’s new book, and so they released blurbs and video teasers to the internet which were calculated to create the impression that Bell was advocating universalism, knowing full well that certain segments of the Christian blogosphere would be all over it like white on rice. And that is exactly what happened. John Piper, Al Mohler, Justin Taylor, Kevin DeYoung, and others picked up that ball and ran with it. And from there it went viral through the evangelical blogosphere. HarperOne wanted a buzz surrounding Bell’s new book. And a buzz is exactly what they got. Somewhere out there, Ashton Kutcher is watching this whole thing unfold and laughing his head off. Why? 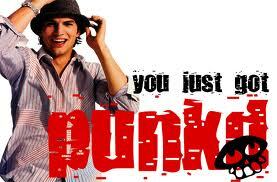 Because WE JUST GOT PUNK’D!!!!!!!!!!!!! That’s right, my fellow evangelicals. We just got punked. Just like Y2K. Just like that Da Vinci Code flap back in 2006 which all came to nothing when the movie came out and was a complete and total flop. Who made Rob Bell an apostle? Where does he, a lone wolf, get off wielding the inordinate amounts of influence that he has acquired through his writings? 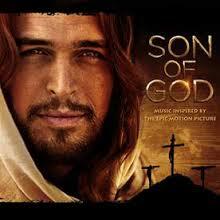 Who gave him the authority to pontificate on matters of Christian belief? And who made Piper, Mohler, Taylor, DeYoung, etc. the gatekeepers and guardians of sound doctrine? Who appointed them to the magisterium and gave them the authority to denounce Bell, a fellow Christian, before the entire watching world–heedless of the fact that such behavior places a thermonuclear device directly into the hands of Catholics who criticize us Protestants for our seemingly incessant divisions and contentiousness? This is a prime example of the authority boondoggle in evangelicalism that has caused many evangelicals to defect to Roman Catholicism and Eastern Orthodoxy over the last two decades. Yet for all my issues and struggles with the authority thing, I do not believe that this is an issue of central importance for us. There are two distinct ways in which Catholics and Protestants come at a situation like this. The Catholic approach is to ask questions such as “Who commissioned Rob Bell? What is his relation to the apostolic succession and the authority structure of the Church? Does he speak with the approval of the Magisterium?” If the answer to these questions is no, then don’t believe a word he says. 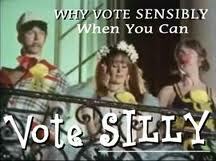 But if the answer is yes, then you are conscience-bound to believe and obey. Protestants ask a different set of questions. We look at what Bell is saying, rather than at Bell himself, and ask questions such as “Does this line up with Scripture? Does this affirm the core doctrines of the Christian faith, as revealed in Scripture?” In my view, these are the questions that need to be asked. One more thought: Anytime someone is preaching the true Gospel, it is going to sound like universalism to a lot of people. This is a problem in evangelicalism–it is part of our DNA to think more in terms of who is OUT of the kingdom rather than who is IN. We spend more time and energy criticizing those whom we believe are too lenient in their view of who gets into heaven than those who are too stringent. A prime example: There are people running around out there who would say that Mother Teresa is in hell right now because she had an inaccurate theology of justification by faith or because she never prayed a “sinner’s prayer”. If that’s you, then shame on you. Quick Hit: “Here For You”? 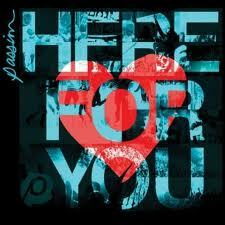 The latest Passion album is out now, and it is called “Here For You”. What is meant by that title? Evangelicalism is rife with these big, bad, bodacious declarations of faith. We just can’t say enough about how committed, how dedicated, how sold-out we are to God. But is it true? I may have my moments where I feel like that once in a while, but if that is the standard for where I am supposed to be in my Christian life all the time, then I am fucked, and I’d like to meet the person who isn’t. I honestly hope it’s the second, and not the first. This was a textbook example of what happens when a team with a bad record and good talent meets a team with a bad record and bad talent: Usually the team with the bad record and good talent wins. If you have seen any of the games this year, you know that whatever Georgia’s problems may be, they certainly do not stem from a lack of talent. Our players are just as big, just as fast, just as athletic as their opponents. The problems Georgia has faced are strictly the result of coaching: offensive playcalling that fails to maximize the available resources, a new defensive system that is not a good fit for the personnel currently on hand (Didn’t Ray Goof have this problem with one of his defensive coordinators? ), and the overarching problem: a head coach who is not setting the right tone for his program. But even the worst coaching on the face of the earth cannot keep good talent down forever. Sooner or later, all that talent is bound to shine through and have its way. You do not want to be on the opposing team when that happens. –Aaron Murray. He’s a gamer. Though his offensive line has not blocked a lick for him, he has been anything but overwhelmed. In four games without A. J. Green, he managed five touchdowns to two interceptions and a 61 percent completion rate. Not bad for a freshman quarterback with no game experience prior to this year. –A. J. Green. Having your best player in the lineup always helps. We saw that this week, and during the brief time that he played at Colorado. –The defense is improving, all the blown coverages notwithstanding. Don’t look now, but after six games Todd Grantham’s defense has surrendered a full 51 fewer points than Willie Martinez’s defense at this point in the season last year. What’s more: Only once has anyone scored 30 or more points on Todd Grantham’s defense (Arkansas scored 31). After six games in 2009, Willie Martinez’s defense had given up 30-plus points three times and 40-plus points twice.